Wow, was my last post really a month and a half ago?! I swear I just wrote it. But then again, I can’t wrap my mind around the fact that it’s August already. What the heck. Hi! Me again, here to blab at you about life and attempted fitness post-Bairn. I’m still working on keeping my expectations low (and doing a decent job, I think! ), and my lesson for myself this week is to try to be a little better prepared. For what, you may ask? 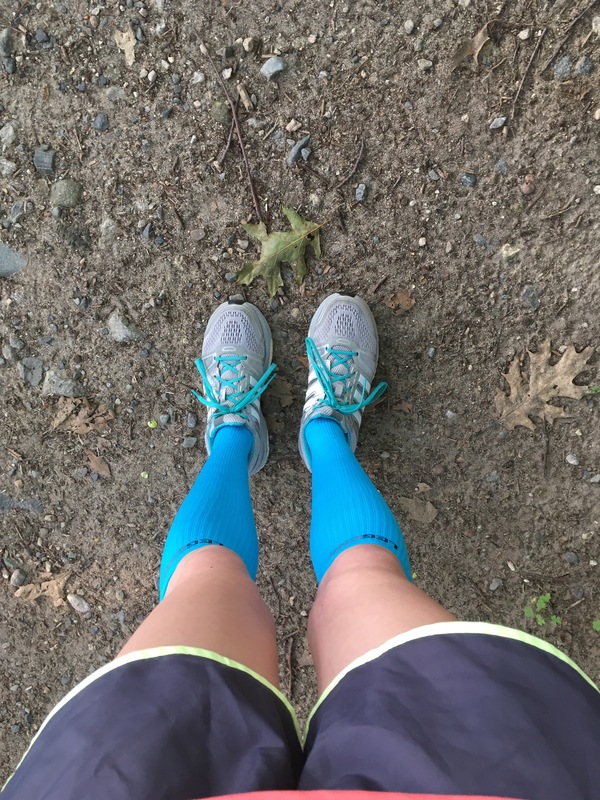 Running specifically, since this is my running blog and all, but really, for lots of things. Let’s travel back a few Sundays, to when I was determined (albeit with lowered expectations) to meet up with the Sunday Morning Shammies for some kind of run. They go out around 7, so I set an emergency alarm for 6 (ha!! As if the Bairn would let me sleep that long), planned out my morning so I could get out the door at 6:45, and crossed my fingers. Sunday morning came, and though I made a solid effort, my morning fell apart. Drew overslept, and it turns out 45 minutes isn’t enough time for me to change and feed the Bairn, and then change and feed myself before heading out the door. At least not when I’m half asleep. So I skipped the run. (Could I have gone out on my own? Sure. But I was all upset and stubborn… these post-baby hormones sure do stick around longer than I expected). How could I have made that morning smoother for myself? By being prepared! Have my running kit out and easily accessible, so I wouldn’t have to risk waking my exhausted husband while stumbling around in our dark room. Have an easy-to-grab pre-run bite to eat ready to be grabbed. And so on. Turns out these shoes are pretty dead. They feel fine for walking, but after running a bit in them: ouch. My back hurt for a week… though to be fair my back is in rough shape anyway from hefting the Bairn around. BUT. I made it out there! I saw my Shammies, got the social motivation I needed, and let them set off on their 7-mile run. I walked to the pond, figuring I’d do a lap and walk back to HQ, but after a turn through the lagoon, it was so lovely I decided to do it again. The lagoon has a lovely dirt trail, lots of shade, and had far fewer people than the paved, route around the pond. So I walked the causeway back to the start of the lagoon and ran a second loop. Well, run-walked, but still. It wasn’t my prettiest run, but it was a run nonetheless! So, a little preparation and I managed to fit a run in. Had I thought ahead even more, I would have untied those silly shoes, but, well, hindsight is 20-20. And now I know my Adidas sneakers are toast. What lesson will I learn next time? Stay tuned! This entry was posted in reflections, run club, Wee Bairn and tagged post-baby running, reflections, run club, running, running shoes by dgobs. Bookmark the permalink. Very glad you managed to get out there! Keep putting those lessons out too, cause I’m sure I’m gonna need them eventually. You still got out there! I can’t even imagine how stressful life is after baby. I have troubles just taking care of myself sometimes. Heh, I’m with you there. It’s still that way for me! It’s an adventure, and learning process, for sure.